This is a great question and it has a pretty simple answer… play football so well that you get multiple scholarship offers from D1 programs. Huh? 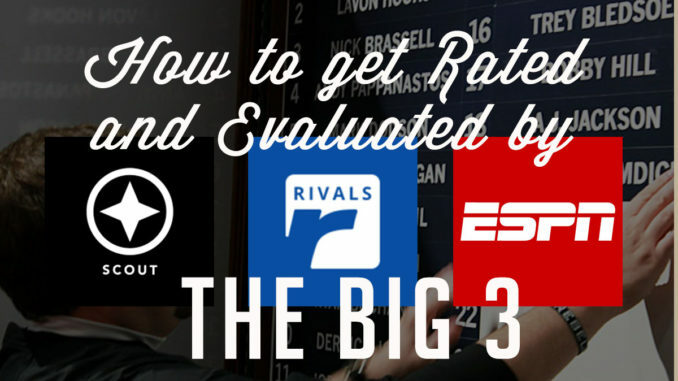 Most prospects and fans erroneously think that getting rated by the “Big 3” recruiting services (Scout, Rivals, ESPN) is what gets them scholarship offers, not the other way around. But this simply isn’t true. At least not for the big boys (D1 programs). Every D1 program has their own recruiting process which considers but is not dependent on the number of stars a prospect has. Coaches and recruiting coordinators are looking at the stats, news, and especially highlight videos for thousands of prospects every year. They are also evaluating these prospects year round at camps and combines. If you want to get noticed by a D1 program the number one thing you can do is perform well on Friday night. Once you have reeled in a D1 scholarship offer or two you will likely have the attention of the Big 3 recruiting services. If, in some unlikely scenario this still doesn’t result in an evaluation and ranking, then there are still a few things you can do. Start by reaching out to local and regional recruiting experts. Most of them will have email and Twitter accounts that are readily available. Let them know that you have an offer from ______ University. They will likely want to report on that offer, and when they write an article about you they will want to link it to your profile page. Wammo! You now have a Scout page. What if that doesn’t work? Go to other local and regional press and news sites. Tag the local paper and a few key reporters in a tweet about your offer. Respond to interview requests. The more information about you online, the more likely you are to get the attention of recruiting services. < Of course D1 Recruiting comes into play here. With your profile listed at D1 it is much more likely you will be discovered by recruiting services, coaches, and fans. Building and controlling your online brand is crucial for positive exposure. The great thing about a premium profile at D1 Recruiting is that it links out to you other profiles (HUDL, MaxPreps, Rivals, Scout, ESPN) and articles about you, thereby making the D1 Recruiting profile the most comprehensive profile page available online. That’s actually one of the main reasons I created the site. 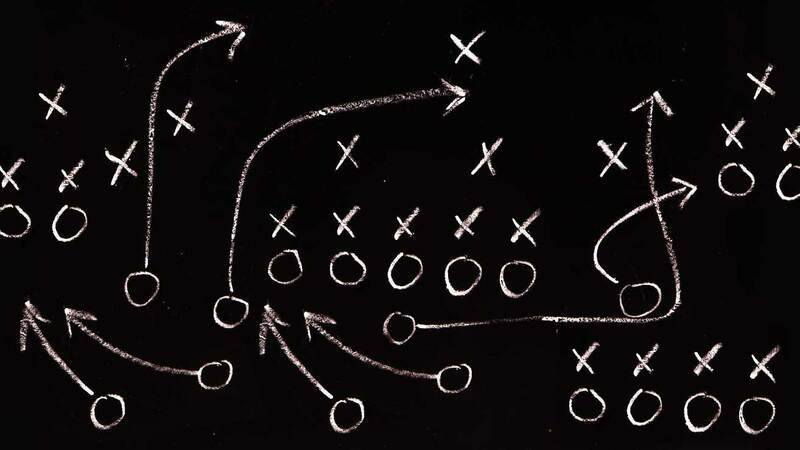 I want to simply the process for coaches and recruiting coordinators. By visiting one comprehensive page instead of several simple profiles, they save time in the evaluation process which should enable them to evaluate more prospects, and increasing the likelihood that you get seen and recruited. Well, that’s it for this newsletter post. What questions do you still have about the evaluation and ranking process? What would you like me to discuss in greater detail? Let me know in the comment section below. And If you would like to have your own profile listed at D1 Recruiting, go here.